COULD PA-18 BE THE TURNING POINT FOR DEMOCRATS? 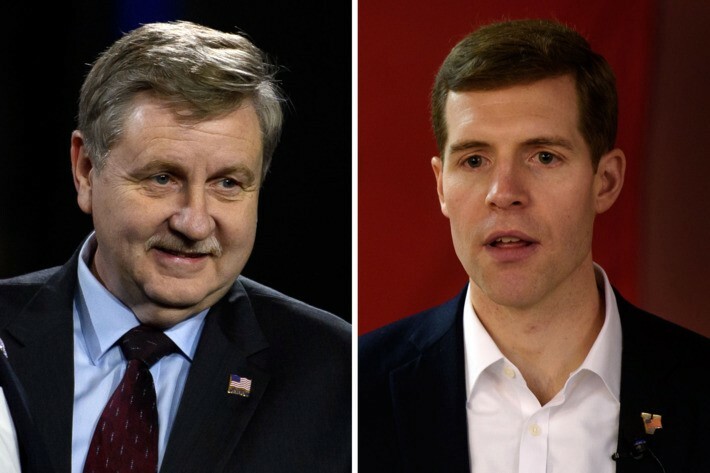 The results are not final yet pending absentee ballots and a possible recount, but as it stands, it looks like Democrat Conor Lamb will likely defeat Republican Rick Saccone in the special election for a house seat in PA-18. This has been called a significant blow to the president and Republicans because it is a district that President Trump won by 20 points. In some ways, this election never really meant much. The winner was only going to serve for less than a year before he would be up for re-election and the district is being re-drawn so who knows what the end result of the voter base even looks like in November. But the symbolism here is not good for Republicans. Democrat enthusiasm — based in large part on hatred of President Trump — is at a fever pitch. Conversely, Republican enthusiasm is less rampant. Midterms always favor the party out of power, but Democrats have the enthusiasm advantage and they may have finally stumbled onto something they should have realized years ago. Joe Manchin is a Senator from West Virginia who many in the progressive wing of the Democrat party despise because he is very conservative for a Democrat. But Manchin caucuses with the Democrats, filibusters with the Democrats, and is an ally on enough issues that he is overall a significant net positive for the Democrat party. PA is similar in that if you run a New York style liberal, he’s a dead duck. But a former prosecutor who served in the military and brags about shooting guns and standing up to Nancy Pelosi? THAT guy can get elected. And it looks like he probably just did. This all reminds me of what happened in 1994. It outlined ten basic ideas that everybody running under the Republican banner would be fighting for if elected and each candidate was carefully tailored to the district in which they were running. In other words, they tried to recruit candidates who fit the values of each district because it meant they could win. You were not going to see Ted Cruz running in Manhattan or Kamala Harris running in rural Tennessee. The strategy worked and Republicans took the House and Senate simultaneously for the first time in decades. I am not saying the Democrats will be as organized or on message as the 1994 Republicans. But the danger of a Democrat tidal wave is real. Most of the toss up seats in the Senate are Democrats, so it is not impossible Democrats take the Senate, but not probable. their odds in the House are very strong. Many Republicans are vulnerable, and the Democrat base is very motivated, so chances of a Democrat controlled House after the 2018 election are reasonably high. Republicans need to stop resting on their laurels and get their act together if they want to push forward rather than being slowly driven back into the minority. And if the Democrats are smart, they will look at Conor Lamb — and more broadly, what Newt Gingrich accomplished in 1994 — mobilize, organize, and run candidates who can actually appeal to the voters they are trying to court. If the Democrats can do that, you just may see a lot more Conor Lamb type victories for them on the state, national, and local level. And a lot more Rick Saccone type shellshock losses for their opposition.